The authors report on research conducted during a project investigation undertaken with preschool children, ages 3–5. The report focuses on three children with special needs and the positive outcomes for each child as they engaged in the project Trees and Things That Live in Trees. Two of the children were diagnosed with developmental delays, and the third child expressed strong dislike of school and exhibited challenging behaviors. The authors document pivotal experiences for the children during their participation in the project and note transformations in four areas: initiated learning experiences, increased engagement, increased prosocial skills, and the use of graphic arts for inquiry and representation. If you have benefited from free access to ECRP, please consider making a financial contribution to ECRP so that the journal can continue to be available free to everyone. Early childhood classrooms are generally inclusive of children at many ability levels. Often, young children with disabilities have not yet been evaluated or identified and have not received special services. Ideally, then, the preschool classroom is designed as a least restrictive environment that supports many different levels of learning with a child-centered pedagogy and assures that children with disabilities have “access to the general education curriculum, along with learning activities and settings that are available to their peers without disabilities” (Division for Early Childhood & National Association for the Education of Young Children, 2009, p.5). This is especially true in the context of an emergent curriculum such as the project approach (Helm, Beneke, Scranton, & Doubet, 2003; Helm & Katz, 2011). Project work values all children’s intelligence, strengths, and innate desire to learn, recognizing that they learn through experience and interaction/collaboration with others (Malaguzzi, 1998). A key component of project work is that the teachers follow the children’s lead in choosing a topic to study and in developing the curriculum and experiences (Forman & Fyfe, 1998; Katz & Chard, 2000). The teachers closely observe the children’s interests and current understandings each day and then build curriculum for the next day or week based on those observations (Katz & Chard, 2000). Another important component is the focus on symbolic representation. 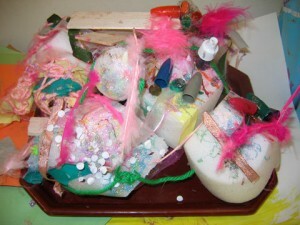 Children use a variety of materials to discover and communicate what they know. The forms of symbolic representation might include writing, painting, drawing, sculpture, or collage (Cadwell, 2003; Malaguzzi, 1998). Project work can facilitate the learning process of a classroom of children who are at many different levels of development and have varying interests and needs. It fits the definition of universal design for learning in that it gives all children equal opportunities to participate and contribute by offering content in different ways and encouraging a variety of approaches to representing knowledge (Meo, 2008). Teachers scaffold and support the children’s learning by asking questions and offering many different ways to explore a topic that is worthwhile and of interest to individuals as well as small groups (Katz & Chard, 2000). During projects, individualized education plan and individualized family service plan goals can be met through meaningful and naturalistic opportunities (Division of Early Childhood, 2014; Donegan, Hong, Trepanier-Street, & Finkelstein, 2005). Projects facilitate collaborative work among children and teachers, focusing on the strengths and assets of individuals and their contributions to the work at hand (Helm et al., 2003). Children challenge one another to think about the topic from different perspectives. Parents are involved naturally in a variety of ways and may be recruited to share their knowledge (Katz & Helm, 2000). Components of inclusive practice such as engagement, flexible learning environments, data-based decisions, and building a sense of belonging to the classroom community are all supported in project work (Harte, 2010). Formal research on project work suggests that children with disabilities demonstrate increased positive interactions with peers, engage longer in project activities, and express themselves through means that fit their personal style of learning (Donegan et al., 2005). Additionally, these children often initiate research during the project and show leadership capabilities (Edmiaston, 1998; Elgas & Peltier, 1998). In this article we share the story and outcomes of a project conducted with 16 preschool children, ages 3–5, with diverse learning abilities, cultural backgrounds, and socioeconomic levels. The ethnographic study was conducted over 10 weeks in a university-based, Reggio-inspired classroom in a metropolitan area of the Midwestern United States. The researchers took the role of participant observers, dialoguing with children during the project (Spradley, 1980). Children’s work was videotaped and photographed, and field notes were kept for each day’s observations. The researchers’ documentation of children’s project work through photos, videos, and notes also provided a unique set of data on the children. (Project documentation differs from formal assessments, and from many informal ones, in that it is ongoing and includes multimedia observations that produce a more complete image of the child.) Data were transcribed and analyzed using domain analysis to discern common themes and relationships between project work and the children’s behaviors (Spradley, 1980). (For a more complete analysis of the data, see Griebling, 2011). The research team consisted of the classroom teacher, two faculty researchers, and a graduate student. This article focuses on three children with disabilities and observed outcomes of their engagement in project work. Two of the children were diagnosed with developmental delays and the third exhibited challenging behaviors. These children were chosen because of the dramatic and profound transformations the researchers observed in their participation as the class engaged in project work. As spring emerged in late March, the children became interested in the changes in nature around them. Although the school is in a metropolitan area, there is a tree on the playground and a large area of green space near the school. In the following section, we use Katz and Chard’s (2000) phases of project work as a framework for describing the specific aspects of the Trees and Things That Live in Trees project. Katz and Chard (2000) discuss three phases of a project. In the first phase, teachers observe the children and listen for emerging interests. Also during Phase 1, teachers decide if the topic is appropriate and practical for the classroom. Phase 1 of our project began when the children noticed a log the teacher had placed in the classroom meeting area as a side table. A small group of children began looking at the rings in the log and a long conversation ensued with the teacher regarding their observations. They generated many questions, such as “How long do trees live?” and “Is there anything inside of trees?” That first week we continued to explore this topic with the children to determine what they knew, what they wanted to know, and whether we should continue to facilitate their exploration and discovery. Their ideas about trees appeared in their art and in their conversations. They were taking notice of the tree on the playground as it started to bud. The second phase of a project is the investigatory phase, when children actively study the topic (Katz & Chard, 2000). As children made observations of the tree on the playground, they noticed that ants, birds, and other creatures lived in trees. These interests became part of the project. To facilitate their research, books about trees, insects, and birds were made available. Because of their interest in birds, the teachers brought in chicken eggs so children could observe how a bird hatches from an egg. Children had opportunities to observe caterpillars and watch them form chrysalides and emerge as butterflies. In anticipation of a visit from a park district naturalist, the children prepared questions ranging from “How old are trees?” to “Does money grow on trees?” Observations of the tree on the playground continued as it flowered and then developed leaves. To build on this interest in trees, teachers took the class to the city garden where they could physically explore and sketch numerous types of trees. After the visit, children initiated the creation of a garden center in the classroom dramatic play area where they constructed spider webs, hung flowers, made nests, and created homes for caterpillars. An additional field trip was made to a local butterfly show where the children observed many species of butterflies and released the butterflies they had observed in the classroom. The final phase in project work is the culmination. This is usually an event that gives the children a time to reflect on and celebrate what they have learned and to share the story of the project with their parents and the community (Katz & Chard, 2000). As the school year drew to a close, the teachers asked the children how they would like to share their work with their families and friends. The children proposed a party to be held in the classroom, which also quickly became a celebration of the lives of the animals they had cared for and observed—a birthday party for the birds and the butterflies. The children spent weeks decorating the classroom, preparing invitations, and making gifts. Documentation panels created throughout the project were displayed, and the children enthusiastically described their work to their guests. Three children were chosen for more focused observation and analysis of their participation in the project. Before the project began, each one’s classroom behavior presented some challenges for the teachers. At the onset of the project, we wondered how these children might be involved: Would they show interest in the study or would their individual needs overshadow the potential of the project work? Patrick was a typically developing 5-year-old child from a family with three boys. Before the project began, Patrick often displayed anger and irritation about coming to school. He told the teachers that school was dumb and he wanted to go home. Throughout the year, the teachers had worked to help Patrick develop friendships and interact with the interesting materials in the classroom. However, even toward the end of the school year, he would kick the furniture in frustration when his mother brought him to the classroom. He displayed similar frustration in his interactions with his peers and had ongoing difficulties making and keeping friends. With the exception of one boy he played with regularly, Patrick would often leave classmates confused and startled as he vocalized his frustration and impatience with the members of the group. After a short time, Patrick noticed moss on some of the bark. 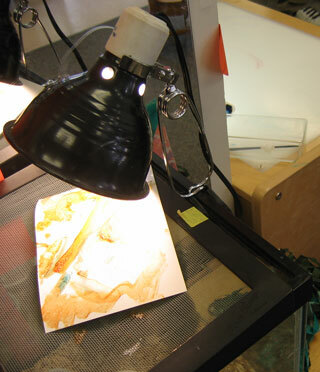 He suggested to the teacher that they paint the bark and moss instead of doing rubbings. The other children enthusiastically agreed that this would be a good experiment. Patrick and the other children had questions: “What would the paint do to the moss on the bark? Would the moss come off when painted? Would the paint kill the moss? Would it change color?” As is typical during a project, the teachers followed his lead and allowed Patrick to choose paint for this experiment. The children spent the rest of the morning engrossed in painting the bark multiple colors while they discussed how it felt, noticing the characteristics of the moss and the texture of the bark. Painting the bark offered an exploration of trees in a way the teachers had not considered. Maggie remarked, “This is the most fun we have ever had!” and others agreed with her. A few days later, a shift occurred that seemed to change Patrick’s outlook on school and on himself as a learner. This was the day the naturalist visited the classroom. She brought materials to show the children, answered questions the children had prepared, and started a conversation about things that live in trees. As part of her demonstration, the naturalist brought in a screech owl for the children to see and to hold on their finger. All of the children seemed fascinated with this small creature. We took several photographs of the owl so the children could review them the next day and have them as artifacts for their study. At the end of the next day, Patrick was angry and upset. In an effort to help him, one researcher was showing him the photos of the screech owl when his mother arrived to pick him up. 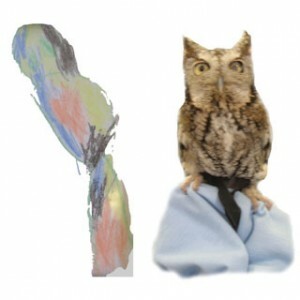 The researcher asked Patrick if he would like to take the photo of the owl home to draw a picture of it, then bring the picture back the next day. Previously, Patrick had primarily expressed his ideas nonrepresentationally, which is more characteristic of children younger than 5. However, the owl drawing he brought back the next day (Figure1) was detailed and colorful and showed the use of form rather than just lines. His mother expressed amazement; she had never seen him do more than a scribble drawing. This was a pivotal moment for Patrick. He seemed to see himself and school in a different light and to view himself as an active learner and researcher. He found he liked school because he was interested in the current topic of study. He became a leader in many of the events and investigations that followed. Instead of gaining empowerment by playing Power Rangers, as he had previously, he seemed to feel empowered by doing meaningful work. Patrick made a serious study of the tree on the playground. He drew pictures of the ants and spiders he observed on the tree. He engaged in meaningful conversation with peers and adults about them. He spent weeks making homes for the caterpillars and creating an “energy machine” (Figure 2) for the birds, butterflies, the other children, and teachers. The changes in his demeanor and attitude toward school were especially apparent in the energy machine work. He began work on the energy machine with Mark (his preferred play partner); over the course of several days, however, Patrick invited other children to help with construction. He also provided scaffolding and encouragement to children who had difficulty completing work and maintaining appropriate social interactions in small groups. If children became frustrated with or disappointed in their work, Patrick encouraged them to continue, assuring them that they could “fix” their work. If they needed further assistance, he would physically help them. Observing these events, the teachers and research team began to view Patrick as a creative boy whose strong intellect needed to be challenged and empowered. We realized that he was trying to understand the concept of power. This was most evident in his work on the energy machine, which he described as a device that gave you power when you put your hand over it. The more materials the children added to the machine, the more powerful it became. They shared the machine with the recently hatched chicks and with children who were having a difficult day. While having power was important, sharing that power also became significant for Patrick. Dominic was a 5-year-old boy who displayed angry and aggressive behavior. Regular routine situations were difficult for him. During free choice he would hit the other children and take materials away from them. Transitioning and sitting in circle time were especially difficult. As children transitioned from free choice to cleanup, Dominic might become frustrated and engage in destructive behavior, such as throwing blocks. He was from an urban environment where, his mother reported, he did not often play outside because it was not safe. Dominic spent most his time indoors watching television and videos. Although he received support from the teachers and mental health intervention specialists to develop impulse control, positive communication strategies, and other prosocial behaviors, he still had difficulty making friends because of his unpredictable behavior. We began to see another side of Dominic as the project unfolded. He became very interested when the project expanded to include “things that live in trees.” His affinity for animals first became apparent when we observed him playing with small plastic animals in the sensory table. He identified all of the forest animals and the sounds they made. He played for long periods of time with other children and these animals. He demonstrated and shared his knowledge of the forest animals with the teachers and children. During these times, Dominic exhibited prosocial behavior with his peers and a concentrated focus on the activity. Building on the naturalist’s visit to the classroom, the teacher introduced a collection of stuffed-animal birds to the class at group time. As the teacher squeezed each bird to demonstrate the call it made, Dominic accurately mirrored the sound pattern of each bird with the small accordion he had brought with him to group. In many preschool classrooms, Dominic’s musical accompaniment may have been viewed as an interruption. However, the teacher altered her original plans and incorporated Dominic’s contributions. Her encouragement of him also helped to change the other children’s perceptions of him. Instead of his unpredictable, aggressive behavior, the children saw Dominic’s positive interactions with the teacher and his new understandings of the project topic. Dominic had a surprisingly vast knowledge of animals as well as an emotional connection to them. He showed the animals a level of caring that he seemed unable to show his classmates. He made a nest for the stuffed birds by drawing with multiple colored markers on construction paper, then placed a bird in the nest (Figure 3). He created flowers for the classroom garden center that became a home for the animals. He spent long periods of time quietly reading books about animals with the intervention specialist. Although Dominic still had difficulties interacting with some of his classmates, we saw during the project work that he could make positive emotional connections, which the adults were then able to support and nurture. Figure 3. 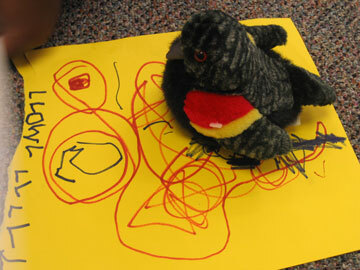 Dominic drew a bird nest and placed a toy bird in it. When the chicken eggs hatched during the final weeks of the project, Dominic spent as much time as possible observing the chicks each day. He asked the teacher if he could use some special metallic paints from her storage cabinet. After choosing paints, Dominic spent a considerable amount of time and concentrated effort creating a painting. When the painting was complete, Dominic took it to the chick’s cage, turned it over, and placed it picture-side-down on the cage so that the chicks could enjoy it (Figure 4). This seemed to be a thoughtful and caring gesture from a child who had struggled with social interactions. Figure 4. Dominic created a painting for the chicks and set it on their cage. Joy received support in the classroom from a team of specialists, including speech, occupational, and physical therapists who addressed specific IEP goals for encouraging communication, social interaction, and cognitive development. While Joy was an integral member of the classroom, her cognitive and communication delays sometimes left her on the periphery of the classroom social network. She played alongside other children but rarely engaged in interactive play with them. Through adult support and the use of basic sign language, which the teachers and children had learned, Joy experienced periodic success communicating with teachers and peers. Joy was 5 years old; there was discussion about what would be the most beneficial kindergarten placement for her—an inclusive classroom with typically developing children or a self-contained classroom for children with disabilities. Joy displayed interest in the project through her engagement both with the materials and other children. Her interest in the caterpillars was especially apparent; she spent long periods of time carefully observing them. Although fascinated, she was somewhat afraid of them as well. Because they were in a cup inside a mesh cage, she could safely observe them and did so each day. She also positioned herself closely and listened intently to the enthusiastic conversations that occurred among other children in this area. One day, as a researcher and Audrey (a preschool classmate) discussed the caterpillars, Joy joined them. Each time Audrey commented and looked at the caterpillars, Joy followed her lead and observed them. Watching Audrey hold the container of caterpillars emboldened Joy to do the same. However, when they suddenly moved, it frightened her. She screamed and indicated through gestures that she was worried they would crawl up her arm. Joy was equally interested in looking at illustrations and photos of caterpillars and ants in reference books. When a researcher discussed the illustrations of the caterpillars with a small group of children, Joy participated nonverbally—pointing, making hand gestures, laughing, and making utterances to indicate her excitement. This was clearly a part of the project that interested Joy, and she seemed highly motivated to communicate about it with her peers. Joy also drew a picture of the caterpillars (Figure 5) based on her observations, another indication of her level of engagement in the project and her understanding of caterpillars. Throughout the project, Joy frequented the art center where she observed other girls creating collages. Working beside her peers, Joy began to create collages by layering materials such as leaves, sticks, and flowers on paper (Figure 5). As she worked, she smiled and made eye contact with the other girls. Figure 5. Joy made an observational drawing of caterpillars and a collage. Joy’s speech and language delays made it difficult for the teachers to formally or informally assess her cognitive and social developmental levels. Observing her in the context of small group work in particular provided another perspective on her development and a more complete sense of her cognitive and social skills. Small group project work gave Joy numerous opportunities to observe more advanced peers using materials and then follow their lead. She reacted and interacted enthusiastically with her peers and remained intently focused on the tasks in which she was engaged. Participating in the project seemed to bring new depth to her process of learning by observing peers. Our data analysis found that the social and cognitive changes observed in Patrick, Dominic, and Joy were related to four categories of participation in project work: initiated learning experiences, engagement, prosocial skills, and use of graphic arts tools for inquiry and representation. In each category, either participation increased in a positive way or a new behavior was observed. Patrick, Dominic, and Joy each initiated learning experiences that enabled them to explore concepts related to the project, directing their learning with support from the teachers and the materials in the classroom. Patrick led the class in painting the bark to see what would happen. His morning of observing the tree was self-initiated, as were the design and creation of the energy machine. Dominic also initiated several activities, including making flowers for the garden center, making a nest for the toy bird, and mimicking the birdcalls with an accordion. Joy initiated observation and discussions of the caterpillars. For each of the three children, we noted an increase in ability to focus and sustain engagement; this seemed most evident when they were involved in experiences they had initiated. Patrick spent long periods of time painting, then washing, tree bark. His solitary observation of the tree and the ants and spiders on its trunk represented a degree of engagement the teachers had not seen before. The development of his “energy machine” took days of focused work alone and with others. Dominic carefully and methodically worked at project tasks, often alongside or with other children. He spent long periods at the sensory table interacting with classmates and the plastic animals and long periods of focused time observing the hatching chicks. Joy closely and intently observed the caterpillars and had conversations focused on caterpillars with teachers and other children. The three children also showed evidence of increased prosocial skills and positive interactions with peers, often demonstrating behaviors their teachers and classmates had not seen previously. Patrick not only worked cooperatively and collaboratively with small groups, he masterfully coordinated the group’s efforts as they worked toward a common goal. During work on the energy machine he was observed encouraging other children’s work and sharing the machine’s “power” to help children who were feeling sad. Dominic’s impulsive outbursts were replaced with more controlled, socially appropriate, and inviting behaviors, such as sharing knowledge of birdcalls at group time and creating a painting for the chicks. His peers subsequently began to view him as a contributing member of the classroom and one they would enjoy having in their play group. Joy also demonstrated her interest in and capacity for social interactions. She carefully observed her peers and could imitate their work as well as create unique products. She joined in small group discussions using signs and gestures and created collages alongside the other children. All three of the children had used art materials previously for exploration and self-expression, but during the project, they used these materials for the first time as tools for inquiry, representation of knowledge, and communication of ideas to others. The practice of representing ideas during projects seemed to naturally advance their skills related to drawing, painting, and construction. For example, Patrick’s observational drawing of the owl communicated his interest in the topic being studied and revealed his current understanding of his subject. His process of making observational drawings of ants and spiders also enhanced his understanding of trees and things that live in trees. His energy machine and home for caterpillars showed his ability to construct complex three-dimensional works for purposes that he considered real. Dominic shared his knowledge of bird habitats by making a nest for them in the garden center. He created an entire wall of highly abstract flowers for the garden center, which took time, energy, and planning, much as an installation would in an art museum. Joy’s drawing of a caterpillar demonstrated that she had acquired knowledge of caterpillars through her focused observations. Her collage work also communicated some of her ideas to her peers. Project work is rich with opportunities and experiences that facilitate children’s success in the classroom; it can empower children as they see that their ideas are valued and are part of the fabric of classroom life. Children consequently feel ownership of the curriculum and are more invested in the topic of study. As they act on their ideas and interact with peers throughout the project, they have opportunities to view themselves as intellectually and socially competent. We found this to be true with Patrick, Dominic, and Joy, who all made gains socially, emotionally, and academically during the project Trees and Things That Live in Trees. Project work allowed these three children to participate at their ability levels and at their own pace. It provided a context in which they could challenge themselves to reach higher levels of knowledge and understanding without fear of failure. This can be especially important for children who are struggling with classroom expectations. In project work, mistakes are viewed as a part of the scientific process as children test out their hypotheses. Small group work encourages children to support each other in their investigations. Having multiple opportunities to successfully participate in activities related to the project may be the most important aspect of project work as evidenced by the experiences of the three children highlighted in this article. Children such as Patrick, Dominic, and Joy who struggle with meeting myriad school expectations can “find their voices” in project work, contributing in unique, novel ways to the classroom community. Members of the research team were amazed and delighted to see how the three children actively participated in and contributed to the study ofTrees and Things That Live in Trees. Our perceptions of these children were transformed; by observing their involvement with the project, we were able to see more clearly their competencies rather than their needs. Cadwell, Louise Boyd. (2003). Bringing learning to life: The Reggio approach to early childhood education. New York, NY: Teachers College Press. Division for Early Childhood. (2014). DEC recommended practices in early intervention/early childhood special education 2014. Los Angeles, CA: Author. Division for Early Childhood, & National Association for the Education of Young Children. (2009). Early Childhood Inclusion: A joint position statement of the Division for Early Childhood (DEC) and the National Association for the Education of Young Children (NAEYC). Edmiaston, Rebecca K. (1998). Projects in inclusive early childhood classrooms. In Judy Harris Helm (Ed. ), The project approach catalog 2 (pp. 19–22). Champaign, IL: ERIC Clearinghouse on Elementary and Early Childhood Education. Elgas, Peggy M., & Peltier, Marla Barber. (1998). Jimmy’s journey: Building a sense of community and self worth. Young Children, 53(2), 17–21. Forman, George, & Fyfe, Brenda. (1998). Negotiated learning through design, documentation, and discourse. In Carolyn Edwards; Lella Gandini; & George Forman (Eds. ), The hundred languages of children: The Reggio Emilia approach—advanced reflections (2nd ed., pp. 239–260). Greenwich, CT: Ablex. Griebling, Susan. (2011). Discoveries from a Reggio-inspired classroom: Meeting developmental needs through the visual arts. Journal of Art Education, 62(2), 5–11. Helm, Judy Harris; Beneke, Sallee; Scranton, Pam; & Doubet, Sharon. (2003). Responding to children’s special needs. In Judy Harris Helm & Sallee Beneke (Eds. ), The power of projects: Meeting contemporary challenges in early childhood classrooms (pp. 50–63). New York, NY: Teachers College Press. Helm, Judy Harris, & Katz, Lilian. (2011). Young investigators: The project approach in the early years (2nd ed.). New York, NY: Teachers College Press. Katz, Lilian G., & Chard, Sylvia C. (2000). Engaging children’s minds: The project approach (2nd ed.). Stamford, CT: Ablex. Malaguzzi, L. (1998). No way. The hundred is there. In Carolyn Edwards; Lella Gandini; & George Forman (Eds. ), The hundred languages of children: The Reggio Emilia approach—advanced reflections (2nd ed., p. 3). Greenwich, CT: Ablex. Meo, Grace. (2008). Curriculum planning for all learners: Applying universal design for learning (UDL) to a high school reading comprehension program. Wakefield, MA: National Center on Universal Design for Learning. Spradley, James P. (1980). Participant observation. Belmont, CA: Wadsworth, Cengage Learning. Susan Griebling is an assistant professor of early childhood education at Northern Kentucky University. She researches teachers’ and children’s experiences of project work investigations and mentors teachers who incorporate project work in their classrooms. Peg Elgas, PhD, is associate professor of early childhood education at the University of Cincinnati. Her research focuses on social competence in preschool children and children’s learning in Reggio-inspired classrooms. Rachel Konerman is a Reggio-inspired preschool teacher at Arlitt Child and Family Research and Education Center at the University of Cincinnati. She is especially interested in facilitating project work and the use of graphic arts. Article courtesy of Early Childhood Research and Practice.